"A discipline which requires budgeting, planning and resource management skills to enable a specified end deliverable to be completed within the allocated timeframe". this only covers a small percentage of what project management really is. Specifically a definition of project management should, at a lower level include the challenges which any good project manager will need to overcome in every project they manage; namely being able to deliver the project scope and objectives within the project constraints. One definition I've heard regarding the definition of a Project Manager sums this up nicely. Basically a Project Manager is the one person on the project who is not allowed to say "I didn't know". As such this means that with regard to a project, no matter how much a project manager might insist otherwise, the buck stops with them. This means that the Project Manager needs to deliver the project. Now this can mean different things depending on the Organisation. In some, being able to generate the relevant paperwork and follow the processes are more important than launching an actual end deliverable. At others the paperwork and processes are flung out the window. All that is important is that the project deliverables are met and launched successfully. A Project Manager needs to constantly make decisions to ensure the project remains on track, and be accountable for them. 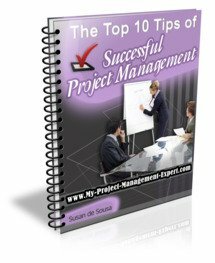 This is absolutely one of the key attributes required for project management. It means that a Project Manager must somehow keep the project moving forward, whilst ensuring it stays within the constraints set whether this might be tight timeframes, few resources or a minimal budget. That is why a key part of successful project management is the ability to be able to think laterally and be creative!